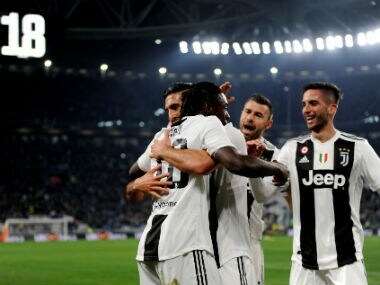 Milan: Moise Kean scored a brace as Juventus warmed up for next week's Champions League showdown with Atletico Madrid by easing past lowly Udinese 4-1 to up open a 19-point lead at the top of Serie A on Friday. 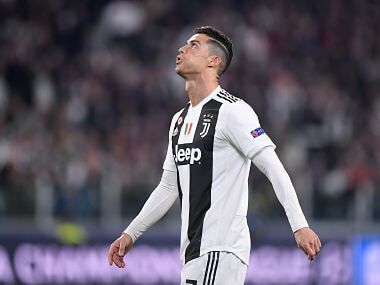 Cristiano Ronaldo, Mario Mandzukic and Paulo Dybala started on the bench ahead of next Tuesday's game where Juventus need to overturn a 2-0 defeat in the last-16, second-leg game in Turin. But 19-year-old Kean was impressive as he partnered Federico Bernardeschi up front, scoring a first-half double in his first Serie A start of the season. The young Italian international opened his account after 11 minutes from a low Alex Sandro cross from close range. He added a second six minutes before the break, picking up the ball after a Seko Fofana midfield blunder, cutting into the box and finishing off past goalkeeper Juan Musso. 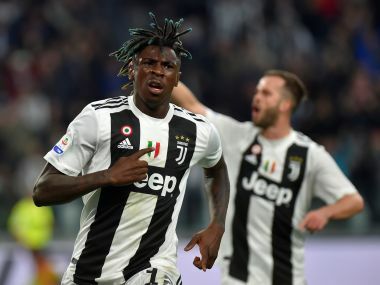 "Kean is very good when it comes to running at the goal and finishing, but needs to improve his movement and ball control, but that's inevitable for a kid born in 2000," said coach Massimiliano Allegri. "It's going to be completely different game against Atletico Madrid, we need to be sharper and quicker, but we will be ready." Kean also won a penalty in the 67th minute after being brought down. Emre Can converted and Blaise Matuidi nodded in a Rodrigo Bentancur cross for the fourth minutes later. Kean received a generous ovation when he was replaced with 10 minutes to go, allowing Hans Nicolussi Caviglia to make his debut. For the visitors, Kevin Lasagna came on after the break in place of 19-year-old Ben Wilmot, who had an unimpressive debut after moving from Watford in January. Lasagna pulled one back six minutes from time controlling the ball with his chest to beat Wojciech Szczesny in the Juventus goal. 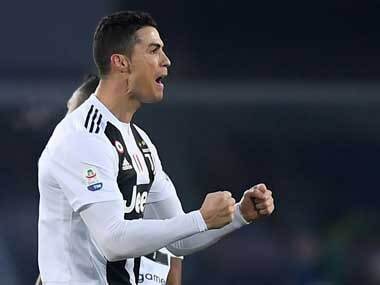 Juventus, on track for an eighth consecutive title, remain unbeaten after 24 games and are 19 points ahead of second-placed Napoli who travel to Sassuolo on Sunday. Udinese who had been coming off back-to-back league wins remain 15th -- seven points above the relegation zone. The only worry for Allegri before Tuesday's game against Atletico was veteran Andrea Barzagli going off injured after 25 minutes. Barzagli was making his comeback after four months out, but limped off to make way for Leonardo Bonucci who came off the bench.